It was wonderful being back within the territory of ambrosius again, truly it was. But he could not seem to shake the feeling that it all might have been too good to be true sometimes. Some days he found himself wondering if everything would change and they would haul him back off to the lands of the wastes battered and bruised. The thought alone made his healing scars fill with a phantom ache that time alone could not seem to heal. The specter closed his eyes, willing the all too fresh memories of his exile to go away from his mind's eye. His visage turned to look out and beyond the curtain of the waterfall he slept behind, his expression thoughtful if one could call it that. He had heard that there was a new blacksmith that had set up show within ambrosius' hold and he wondered if the new citizen could help him with his mental trauma. Yes...perhaps. Maybe the blacksmith could fashion him some type of armor, anything to help him with his current insecurities. A heavy sigh fell from the phantom's nares as he pushed himself to stand. Vast wings unfurled from his sides and stretched wide within the hollow cavern before retracting back to his sides. It was time to pay this fellow named Rost a visit. The strange combination of scraping talons and clopping hooves filled the air as Nevermore cantered forward before lunging into flight. Water from the falls washed over his starlit form as his wings caught the current, allowing him to glide in the direction of the forge in the distance. Guided by the smell of smoke and iron he coasted on the winds for a time wondering if this all might have been some sort of mistake. Regardless, he had come this far and there was no need to turn back now. His feathered limbs grew tired but he had finally made it to the glow of the man's workshop. He hastily descended, landing hooves first before his talons landed upon the snow laden ground. Stepping high Nevermore approached the archway, poking his head inside whilst looking around. Is there a Rost here by any chance? I require some armor if thou can provide it... The once regent called, buffeted by a cold wind whipping past. It felt good to be home. After a brief reprieve in the holds of Ambrosius, Rost had made the climb back up to his family's home with a belly filled with good meal and body warm with the help of some fine commoner mares. The fires hadn't died in his time away, but burned in smoldering, garnet embers, eager to drink up fresh oxygen and burst back into life with a bit of fiber to gnaw on slowly. Rost had had his fill, so eagerly he went to the log pile and filled the earth. More eagerly he rose a shod hoof and collapsed the bellow. With a rush of air and embers, the fires of the hearth reignited and bathed the frozen, stone cave with warm light. With anticipation he eyed as the red glow consumed the coals, and all that had once been black burned a citrine red. "Good ta be home..." he murmured to himself, unseen telekinetic appendages reaching up to undo the strappings of his armaments, before hanging them on crude pegs along the far wall. Warmed by the fires of his trade, the blacksmith swept an admiring panorama of his ancestral plot, then sighed. Rather than rely on the powers bestowed upon him by his blood right, Rost had taken to tactical practice once more. It was smart to keep one's skills honed, and while the finer items procured in this forge manifested through the boundaries of his arcanum, smaller items or less ornate orders were a quick way to keep his unseen hands busy and trained. Hunkered over an anvil, the iron ingot of Rost's eyes were far too enamored with the shape forming in the red-hot iron to notice the flurry of wings just outside his doorstep. An audit flicked, curious, but ultimately paid the sound no more mind than he would the wind. His smithy's hammer fell, clanking against the refined ore that would soon become a balanced and clean dagger, when the stranger bid his request. But a man used to patrons milling through his establishment on their own time, Rost continued to hammer at the morpheus piece of metal until its color began to fade slate blue. Finally he straightened his nape with a dull groan, vertebrae cracking, and used his phantom touch to place the dagger back in the confines of the hot forge. With a red halo of light cresting his features, the baroque stallion turned to face the wicked crow of a stud before him, eyes squinting into the dull sunlight of the cave's mouth as it strained his eyes. He himself was no more than a near obsidian shadow against the roaring flames and embers, matching that of his seemingly unlimited supply of coal. "Aye, come in, lad." Rost bellowed, the distance twixt him and the entrance too long a walk to wager the blade's shape. Without waiting to investigate if the man would come closer, he pricked the now white-hot metalwork from the hearth and placed it back on the anvil, the hammer sweeping up next to him as if grabbed by the muscled, burly arm of a troll. Once, twice, thrice he hit the dagger before pivoting around so that his back was not so rudely to the potential customer. He had spoken of armor, after all, and armor pieces littered the floor along the corners of this well hidden blacksmith. Through the embers, still striking the softened metal, Rost tossed another rusted iron gave to the pegasus male - that he expected would be closer, but not too close... not many liked the look of those burning cinders flying with abandon. "M'names Rost, laddy. And I can forge ya armor, fur a small price." Another rattling clang erupted as the hammer met the to-be-dagger. "Whose asking fer it?" The warmth of the forge upon his visage was more than welcome as he continued to glance about. Thankfully he did not need to wait nor look too far, for his ears were met with a voice tough as nails and full of gravel. His luminescent lavender eyes snapped in the direction of a dark hefty stallion tending to a bit of heated metal. The man beckoned him inside and Nevermore wasted no time accepting the offer into the quaint little forge. Warmth blanketed the phantom as he felt the sting of winters hold melt off of him and bring proper movement to his limbs again. With a shuffle of his wings the raven righted himself and made himself presentable. Slowly the once regent eased his way through, eyes locked upon the variety of endless tools and impressive projects both finished and unfinished. Traversing the gap from the door to the innermost part of the cavern Nevermore stopped short, eyeing the bearded man silently for a moment before offering him a single nod. Of course he would have been a fool to believe that something such as armor would be given to him for free. A pleasure, Rost. My name is Nevermore and the armor would be for me actually. 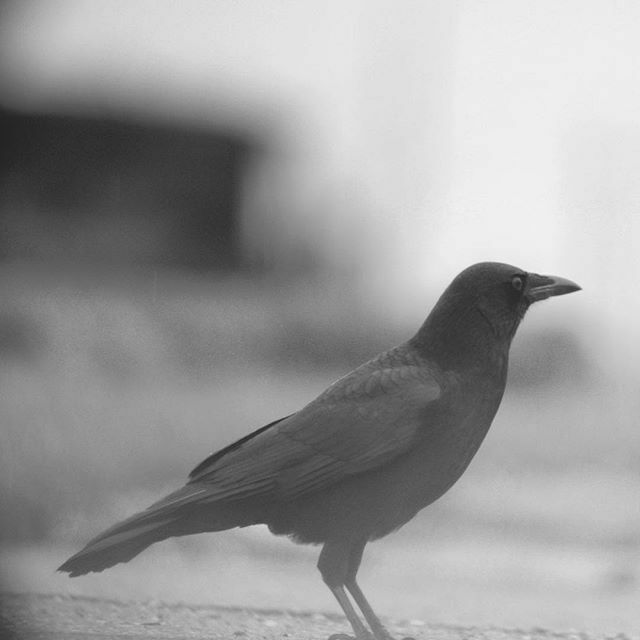 The raven voiced over the clang of the man's hammer meeting steel. He shifted for a moment, allowing his leonine tail to curl beside his hind leg before continuing on. I was hoping for a near full body design. I've heard that you've done great work. From what i've seen they were right. The phantom murmured as his voice trailed off to spare another glance at the things held up on the walls. The rumors certainly did not disappoint. Now his only concern was if this fellow would actually be up to the task now that he knew his name. A bit of anxiety began to bubble up within the man's chest yet he suppressed it well. With a soft huff he turned to face the burly stallion once more. How much would something like that cost? Clang, clang, clang! Each strike of the hammer on the hot dagger erupted with a resonating echo in the otherwise quiet chamber. That was, save for the idle conversation the two blackened males murmured back and forth at one another. Luckily the raven male had indeed come forward, which Rost appreciated. If he had to set the dagger away now while his telepathic muscle memory returned to him chagrinned would have been the wrong word used to describe him. A bushel of coarse locks flicked at Rost's hide, momentarily relieving the sweat riddled skin of his inner hinds breath, as his ingot eyes once again rose from the anvil and his newest work and to the stranger who introduced himself as Nevermore. Fortunately, perhaps, for the pegasus Rost wasn't one to keep up on politics. He couldn't have even shared gossip on the new Ambrosius sovereign because, well... he didn't really care about the thrones or their troubles. While he was honor bond to the Northern realm by affiliation, he offered no favors for any banners men, be it his own, Tryggr, or Vromme. While his rather sooty appearance and coal stained chest spoke of a man who labored rather than he was a businessman. Anyone who came through that cave's gaping mouth, slipping twitch fangs crafted of ice, was a customer. "Aye, welcome, Ne'ermore." Rost's twin nostrils twitched as the dagger rose up before them without visible aid, a dull slate once more. "I'd say long journey, but ya smell o' Ambrosius. Couldn'ta been that long." With a turn of his head, the thick stallion turned away from his slender customer. With his gaze levitated the dagger, where it nestled back into the hearth fires. The fine ornamentations of his beard ticked and clacked as the draft-like male swayed closer to the heart. With a grunt he rose a tired forelimb and let the hoof crash down onto the bellow with a metallic cry from his iron shoes. "Tell me boy," Rost began, "what's a fella like you need armor fer anyhow? Ambrosius ain't really the one running inta fights now." The hearth roared with life, a citrine glow dancing below the coals as fire licked at the stone walls. With the sharp edges of his handsome visage outlined in orange, the blue roan male tossed a cursory glance back to the other male. He was scrawny; tall and thin like a willow's branches. He'd snap betwixt a larger opponent's weight sooner than land a walloping blow. But... hmmm... the claws were interesting. He'd have to examine them closer to get a better understanding how to fit armor to them properly. With his eyes tracing mental lines about the other stallion's peculiar fore-appendages, the dagger once again pricked out of the heart fires and rested upon the anvil, this time red hot. The shape was most certainly a dagger, easily recognizable and without any fluff. The handle was stout, made for telekinetic hands, and the rain-guard large enough to keep it from slipping through a leather loop or fit tightly into a scabbard. Rost retired the larger hammer, turning about himself with a rather drunken expression as he eyed the tools thrown about. "Ah, there." A smaller hammer this time, with less impact upon collision. It ting-ting-tinged along the edges of the new dagger, which flipped over this way and that countlessly, nearly impossible to comprehend just what the smithy was eye so intensely. Compared to the other houses surrounding the vast width of the valley the trek from ambrosius to the smithy's workplace was rather short. But the freezing cold and snapping winds that chilled his bones made it feel double maybe even triple the length. The raven man offered the hulking stallion a minute nod in agreement, a gesture that certainly would have been missed if the male had not been paying attention. Thank you. And yes, that is correct. I flew in from the region of Fell. He murmured, taking a moment to adjust his ebony feathers along the line of his back. The heat that filled the place nearly made him want to relax and allow his wings to droop in the comfort. However, he did not think it very gentlemanly, nor professional when trying to conduct business. Not that it looked as if the robust male would care for such things. But Nevermore still expected to carry himself to a certain standard. A comfortable silence filled the cavern with the exception of the roaring flame and the banging of the blacksmith's hammer. For now, he was content to simply watch the man work, genuinely mesmerized by the way Rost shaped the red hot metal to bend to his will. He would have continued to comfortably stand there, watching and learning, but it seemed as if the bearded man had a question for him. Peeling his gaze from the billow that coaxing the flame to burn hotter, Nevermore turned his attention to Rost entirely. The corners of his mouth pulled at the edges to create a frown as he mentally dismissed an image of his exile attempting to haunt him. Blinking once then twice the raven then turned his gaze upon the orange glow of the hearth once more. I was attacked by those who I thought I trusted...while I would never lay a hand on them it would be nice to protect myself from harm should it miraculously happen again. Of course He had felt out large chunks of information. But he still had trouble coming to terms with the iron hot embarrassment of being both beaten and dragged along the way to his sentencing. While it was not his fault it was not something he wished to dwell on any longer than he had to. Truthfully, I hope to never have to use it. But one can never be too sure. His voice died within the soft tinging echoing from the much smaller Rost now used to finalize his dagger. It was a fine piece of work indeed, one that would fetch a nice bit of coin if he happened to be into that sort of thing.